The Suburban.com - The Suburban - Mike Cohen: The Justin Trudeau-Stéphane Dion-Thomas Mulcair connection: will Justin exact sweet revenge? The Justin Trudeau-Stéphane Dion-Thomas Mulcair connection: will Justin exact sweet revenge? 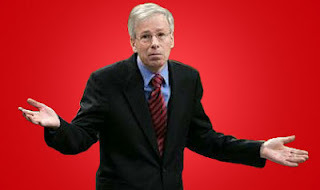 It will be interesting to see whether St. Laurent-Cartierville Liberal MP Stéphane Dion will come out in support of Papineau MP Justin Trudeau's bid for the Federal Liberal leadership. Dion accidentally became the Liberal leader in 2006, an action which is chiefly responsible for the rump of only 35 MPs in office today. Why did he run? We will never know. How did he win? The party system made no sense. 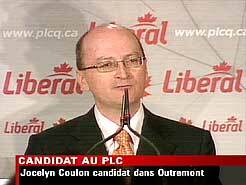 Dion made many errors as Liberal leader, but none worse than imposing journalist Jocelyn Coulon as the party's candidate for a September 2007 by-election. Jean Lapierre had stepped down as the MP in what was a huge Liberal stronghold. The obvious choice to carry the party banner was Justin Trudeau. A slam dunk in Outremont for sure. Dion insisted that Coulon was the best choice. Dion asks, "How the heck am I still in office?" At this time, Thomas Mulcair had recently stepped down as a Quebec Liberal Member of the National Assembly and environment minister and was flirting with the possibility of joining tge Federal NDP. When I spoke with him soon after Lapierre's resignation, he seemed inclined to wait for the next general election and run in his familiar territory of Laval. 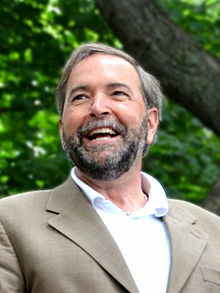 The NDP had only once before elected an MP from Quebec (Phil Edmonston in a 1990 by-election). Dion, though, handed Mulcair and the NDP a huge gift in Coulon. Mulcair did indeed agree to run there for the NDP. Coulon bumbled his way through the campaign, infuriating at one point the influential Jewish vote. Jocelyn Coulon; How do you spell d-i-s-a-s-t-e-r? Mulcair trounced Coulon, 48 to 29 percent, and set the stage for a true NDP presence in Quebec. Justin Trudeau, meanwhile, had to take the tough road of competing for the Liberal nomination in the then Bloc Québecois held Papineau riding and then winning a seat. He did all of that. But was it really necessary? Why didn't Dion proclaim Justin as the candidate automatically in Papineau? Justin has always had true star power. Had Dion placed in Outremont to begin with, Mulcair may have never become an NDP MP, the architect behind their Quebec sweep in May 2011 and now party leader. Then again, without the NDP we would not have gotten rid of the nasty Bloc Québecois. Justin is indeed the front runner to win the Liberal leadership in April. 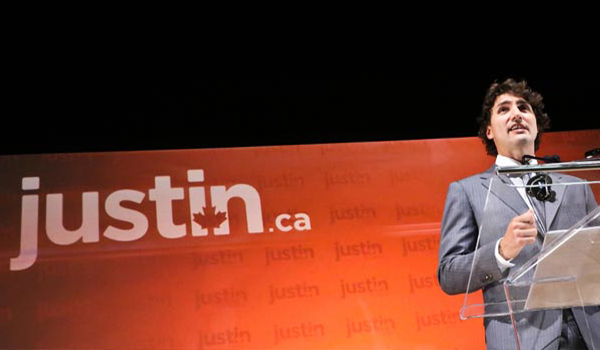 The next federal election will be in three years and wouldn't it be ironic to see Justin facing off against Mulcair. Perhaps Justin will be able to exercise his own candidate selection process and bid adieu to Dion in St. Laurent- Cartierville. One good turn does deserve another! Gee wizz Mike! You sure put a load of pressure on the poor lad. Remember that Justin squeaked by Vivian Barbot in 2008 in Papineau. Anyone who thinks that the margin he won by wasn't attributable to the surname left to him by his father is either purposefully blind or irretrievably stupid. In 2011 he caught a break because the NDP and the Bloc split the vote. This boy's been getting by on the skin of his teeth, his father's name and his mother's good looks. He's likable enough, but are you seriously suggesting that he has what it takes to represent Canada on the world stage? Probably not ever, but certainly not yet.